Here’s another iPad Basics tip – again this is one that I see get asked an awful lot on support forums: How to change the email address / addresses for the Messages app. — That will bring up the iMessage window on the right. This will show your Apple ID right at the top, followed by sections for ‘You can be reached by iMessage at’ and ‘Start new conversations from’. 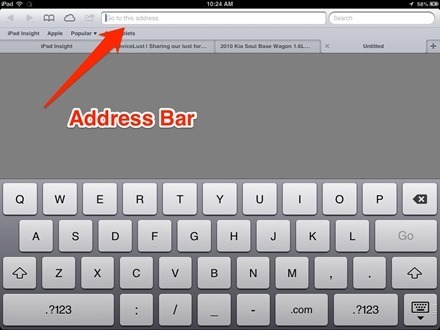 This is another iPad Basics tip that seems to come up often in forum and support discussion threads: what to do when the space bar key is missing from the iPad’s keyboard in the Safari browser app. In this case, it’s just as much about what to know as what to do. What you need to know is that at the top of the Safari screen there are both an Address Bar and a Search Bar. 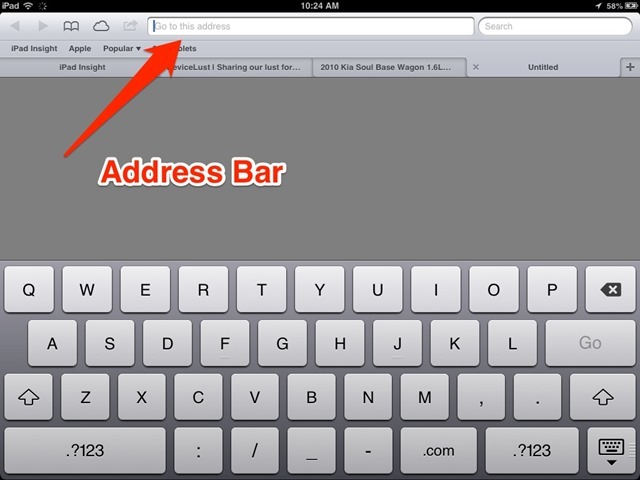 In the Address Bar you can only type website addresses, which do not ever have spaces in them – so the iPad removes the space bar key when you place your cursor in the Address Bar. 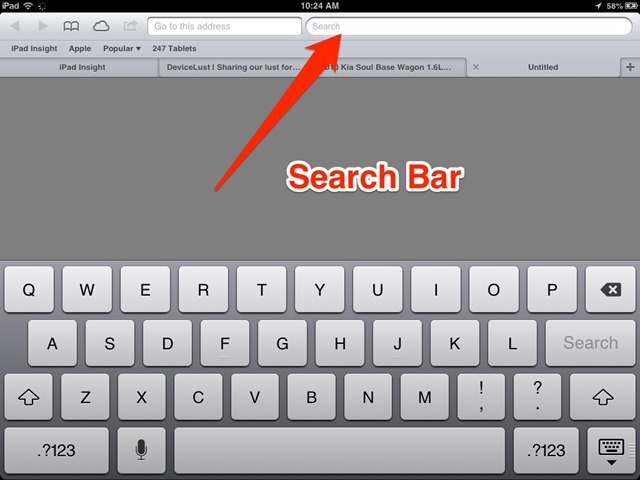 In the Search Bar – which is farther right at the top of the Safari screen – you type search terms, which can have spaces. So the iPad keyboard includes the space bar when you place your cursor in the Search Bar. 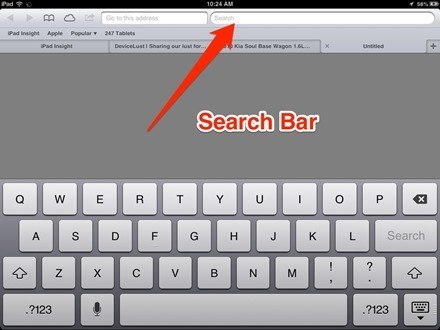 So if you find that the space bar is missing in Safari, it just means that you’re in the Address Bar, not the Search Bar – and you need to move your cursor over to the Search Bar if you need to type in search keywords and use spaces. In iOS 7, Safari gets a new ‘unified smart search field’ which is just one bar that lets you enter a website address or a search term – as the Chrome web browser does in its omnibox. This is a much easier way to do things and will be a welcome improvement to Safari. 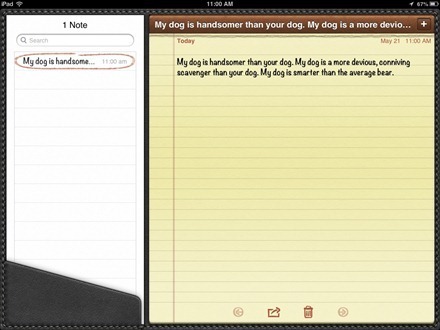 Here’s a handy tip for newer iPad users. 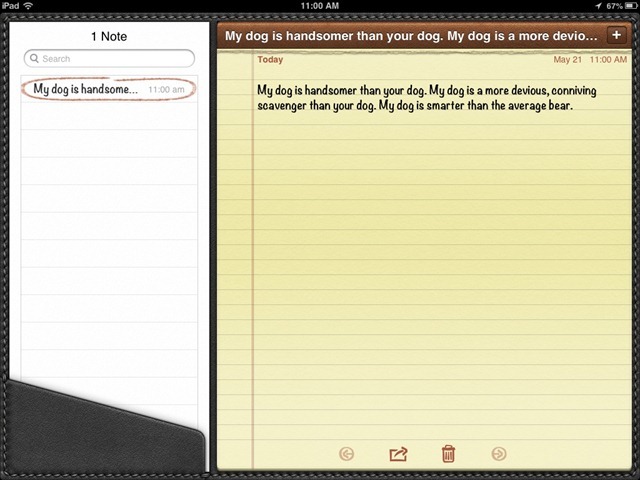 If you don’t like the default font in the iPad’s built-in Notes app, it’s very easy to change it. — Open the Settings app. 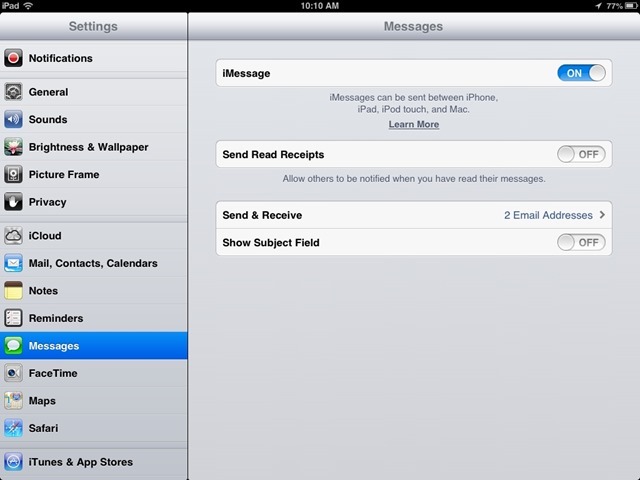 — Tap on the Notes item in the left sidebar, just below the entries for iCloud and Mail, Contacts, Calendars. There are a number of reasons why it might be important to identify which iPad model you have, or which iPad model you are considering buying. For starters, it might well influence what price you are willing to pay or can expect to receive when buying or selling an iPad. — Look at the back of your iPad. Down towards the center bottom you’ll see the word iPad, and below it the amount of storage space it has (16,32, or 64GB). Below that you’ll see some fine print about the iPad. The first line begins with ‘Designed by Apple in California.’ At the end of that line you’ll see ‘Model’ and a 5 character model number beginning with the letter ‘A’. 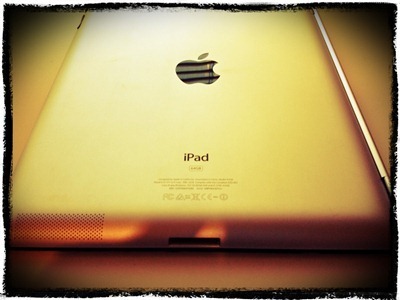 For example, my iPad is Model A1430 – an iPad 3rd gen 64GB WiFi + Cellular model. Apple’s listing will tell you which generation your iPad is, when it was released, and whether it is a WiFi only model or WiFI + Cellular. That’s it. That’s all you need to know in order to identify which model an iPad is. 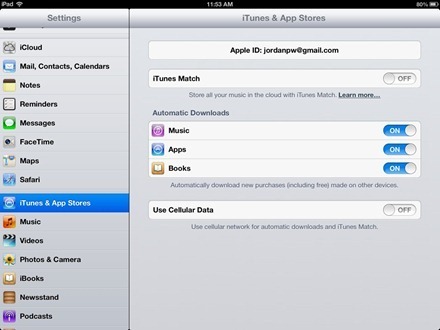 An Apple ID is used on the iPad, and all iOS devices, to sign in to all the built-in stores – the App Store, iTunes, and the iBookstore. 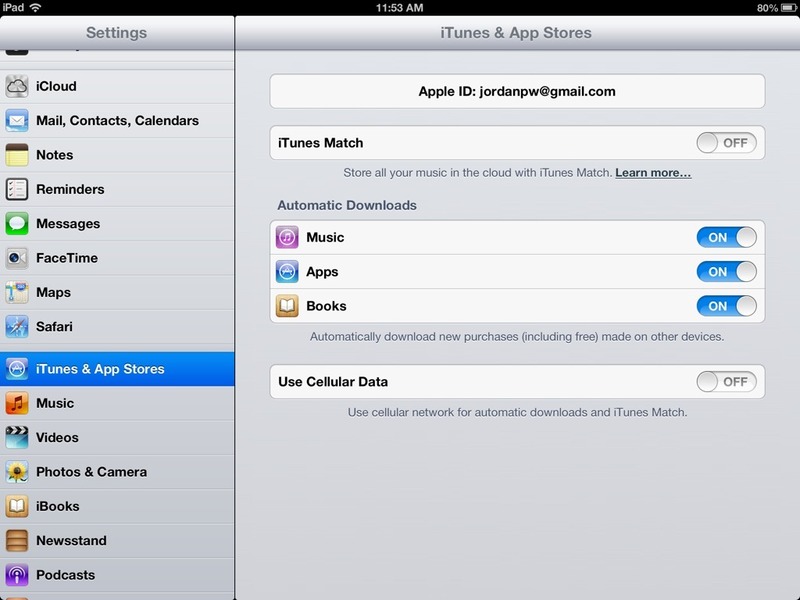 You need an Apple ID in order to download and install apps, songs, movies, and books on the iPad. — Scroll down the sections in the left sidebar and tap on ‘iTunes & App Stores’ (if you are running an older version of the iPad operating system than the current iOS 6, then this section will just be labeled Store). By default, the iPad display rotates as you change the way you hold the device – so it shows the screen in landscape mode when you hold it in landscape orientation, and adjust to portrait as you turn the device to that position. — If you can see a little lock symbol next to the battery status in the iPad’s status bar (as shown above) then the iPad is set to lock rotation. If you have chosen to use the iPad’s side switch (the one on the right hand side of the iPad just above the volume controls) to Lock Rotation, then you can just flip the side switch to its up position to disable rotation lock. 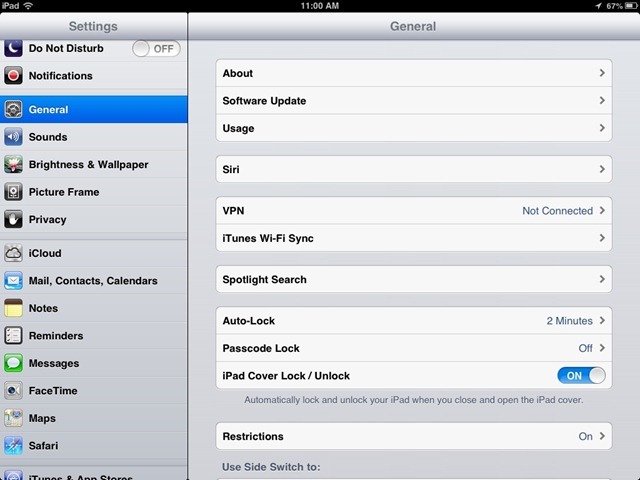 You choose what the side switch is used for in the Settings app – under this section: General > Use Side Switch to. — If you have set the side switch to act as a Mute button, then you’ll need to pull up the Multitasking Bar in order to disable the rotation lock. Double-tap on the home button to bring the Multitasking Bar up, then swipe right until you see the Rotation Lock button at the far left of the bar. Tap on it to unlock. Here’s a question I’ve had asked often lately when I’m talking to people about their iPads or iPhones: how do I tell if my iPad / iPhone is running the latest operating system software? It’s a good question, because generally speaking it’s a good idea to keep your iPad up-to-date and run the current version of iOS, the operating system for iPad and iPhone. And happily it’s very easy to check whether you are running the current version and to update your iOS version if needed. Go to the Settings app and to General > About. On the About screen the 9th item down the page is Version. This will list the current version of iOS – at the time of writing this post that is 5.1.1.
iOS 5 was released in October of 2011. 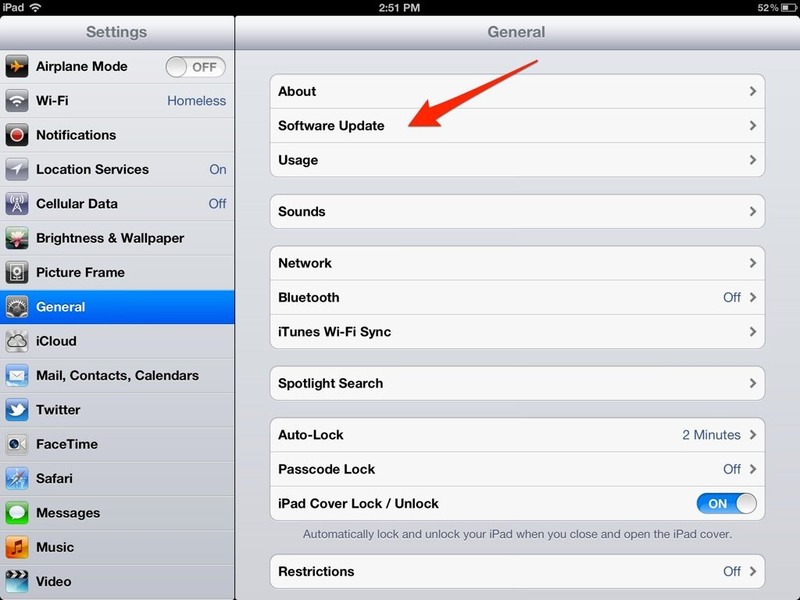 If you are running that version or later on your iPad then you can simply go to the Settings app and then tap on General on the left-hand sidebar – you’ll then see an item titled ‘Software Update’ in the right-hand window, just below the ‘About’ item. Tap on that and you’ll either get a verification that your software is up to date, or a box showing that an update is available. If there’s an update available, you can choose to install right from this same screen. * The only exception to the above is when a full new version (for instance the next major update to iOS, iOS 6, which is due for release this fall) is released. These generally require a full restore via iTunes to apply rather than an over-the-air update on the iPad itself. 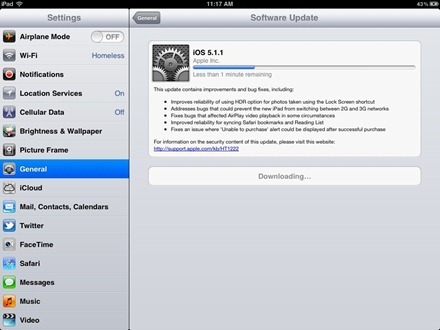 One of the ‘PC Free’ features of iOS 5 on the iPad is the ability to update the iPad’s operating system software (iOS) over the air. – as in, without needing to connect to iTunes on a PC. This week, for instance, Apple released iOS 5.1.1 – the latest update to iOS – and it can be easily installed directly on your iPad. Just as you would before updating your PC operating system, it’s a good idea to make sure you’ve got a current backup of your iPad before starting. Depending on how you sync data on the iPad you may want to do a connected (to a PC running iTunes) backup and sync, or an iCloud backup on the iPad itself, or both. 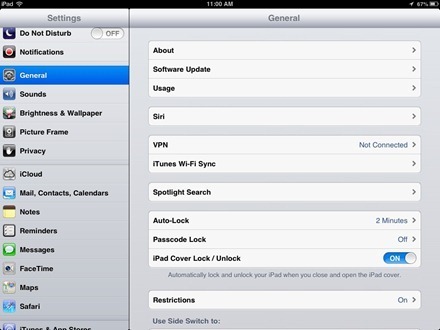 To do an iCloud backup on the iPad just go to Settings > iCloud and tap on the Storage & Backup button. Then choose the Back Up Now button at the bottom of the Storage & Backup screen. — Go to Settings > General > Software Update. The iPad is nothing if not versatile – a real jack of all trades. One of its fun and lesser-know features is its ability to server a a digital photo frame – so you can enjoy all your favorite photos as a slideshow invoked right from the lock screen. — You put the iPad into photo frame (or Picture Frame as Apple calls it) mode from the lock screen. 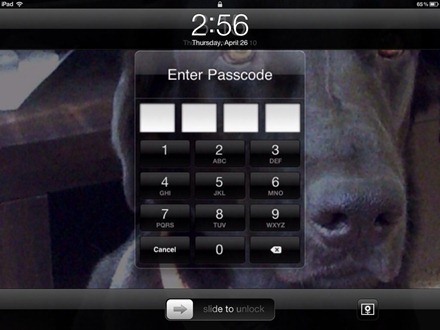 When the lock screen appears, do not slide to unlock. Instead tap on the icon over to the right of the Slide to Unlock bar. That’s it – that will start up a slideshow of your photos and images held in your photo library. You may want to take a look at some of the basic settings for this feature as well though. Here’s a very quick, iPad Basics type tip for those of you who are newer to the iPad, or any of you who have just not done much with folders on the iPad yet. If you have a large number of iPad apps, folders can quickly become very useful, if not essential, in organizing your apps on your iPad home screen/s. 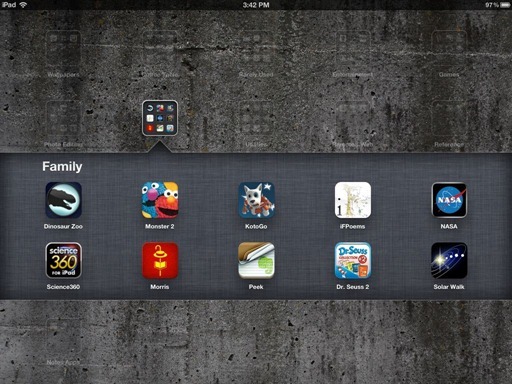 You can store up to 20 apps in an iPad folder – so when you start accumulating lots of games, or utility apps, or news apps, for example, you can create folders called Games, Utilities, and News. Instead of having 60 apps spread across your home screens, you could choose to consolidate 20 in each category into folders – and use up only three icon spaces on the home screen or dock of your iPad. Creating a folder is simple – you just tap and hold on any app icon on the home screen until the apps begin to wiggle. Then move one app that you want to go into a folder on top of another that you want to go in the same folder. Move Angry Birds on top of Monopoly for iPad for example, and a new folder will be created for those two apps – and you can add 18 more whenever you want or need to. When you create a folder, the iPad’s operating system will give it a name for you, using its best guess based on the two apps you create the folder with. Sometimes these names are spot-on and other times you may want to alter them to suit your tastes. 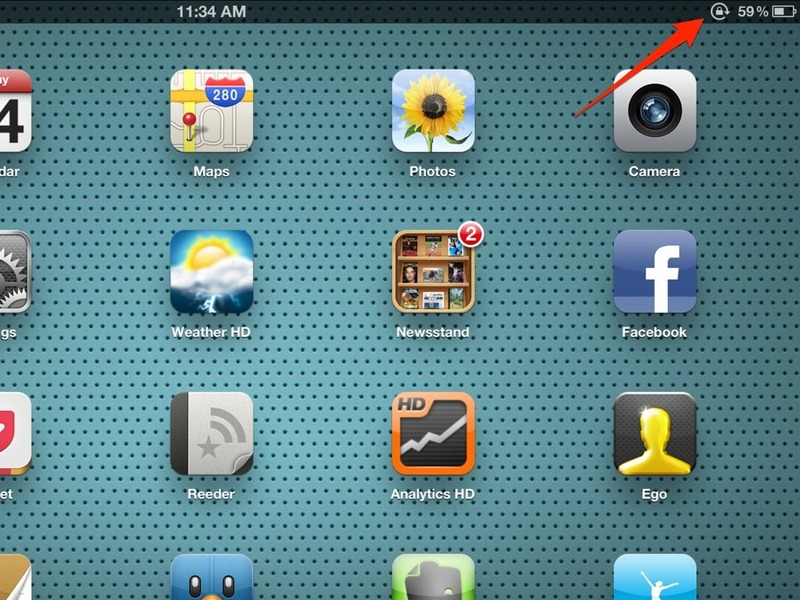 How do you get back an app that you’ve deleted from the iPad? 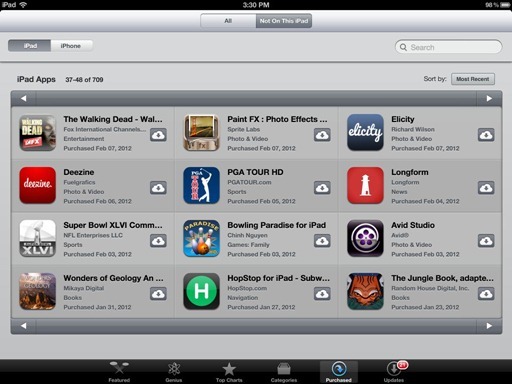 — Open the App Store app on your iPad. — At the top of this screen you’ll see that you can toggle the view between showing All purchased apps or ‘Not on This iPad’ – the latter generally being helpful for tracking down an app that’s been uninstalled more quickly.